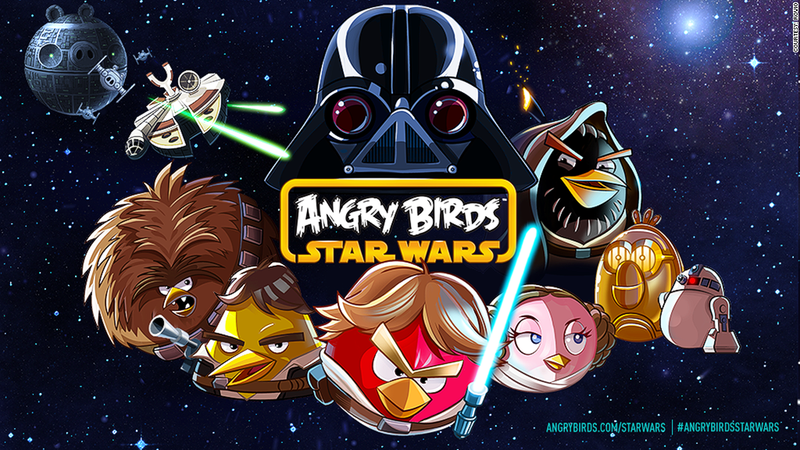 Two blockbuster franchises are about to collide: "Angry Birds Star Wars" is coming in November. Finnish video game developer Rovio is teaming with Lucasfilm for the latest expansion to its empire of cranky avians. The new game will take the iconic birds -- now sporting lightsabers, blasters and bad '70s hairdos -- "from the deserts of Tatooine to the depths of the Death Star," according to Rovio's promo materials. The game is slated for simultaneous release on Nov. 8 on Apple (AAPL)'s iOS, and Google (GOOG)'s Android operating systems, as well as Amazon (AMZN)'s Kindle Fire and Microsoft (MSFT) Windows Phone and Windows 8. PC versions will also be available. "The Force is definitely strong with this one," said Peter "Mighty Eagle" Vesterbacka, Rovio's chief marketing officer, in a prepared statement. "It's the best parts of Angry Birds with all new cutting-edge gameplay set in a galaxy far, far away." Rovio is preparing a massive retail push to accompany the game. Get ready for "Angry Birds Star Wars" action figures, apparel, plush toys and Halloween costumes, which will hit store shelves starting Oct. 28. The new game will be the fifth major installment of the Angry Birds franchise, which launched in 2009 and pioneered the market for casual gaming on smartphones. The eponymous game and its offshoots -- including Angry Birds Seasons, Rio and Space -- have been downloaded more than 1 billion times so far and have catapulted Rovio, a decade-old development studio with a handful of minor hits, to the top ranks of the gaming field. One of Rovio's key rivals, gaming company Zynga (ZNGA), has struggled since going public late last year. The company, which depends heavily on Facebook (FB), cut its financial outlook last week. Can FarmVille sequel save Zynga's bacon? But privately held Rovio is still positioning itself for an IPO. It released a financial report in July showing sales of €75 million ($106 million in U.S. dollars) in 2011. Merchandising and licensing revenue accounted for 30% of that total, with revenue from the company's mix of ad-supported and paid games making up the rest. "What we're building is an entertainment franchise," Rovio's Vesterbacka told CNNMoney earlier this year. "Obviously entertainment is a lot more than just games. We think that the business we're going after is significantly bigger than just games." Rovio has recently experimented with expanding beyond its flagship franchise. 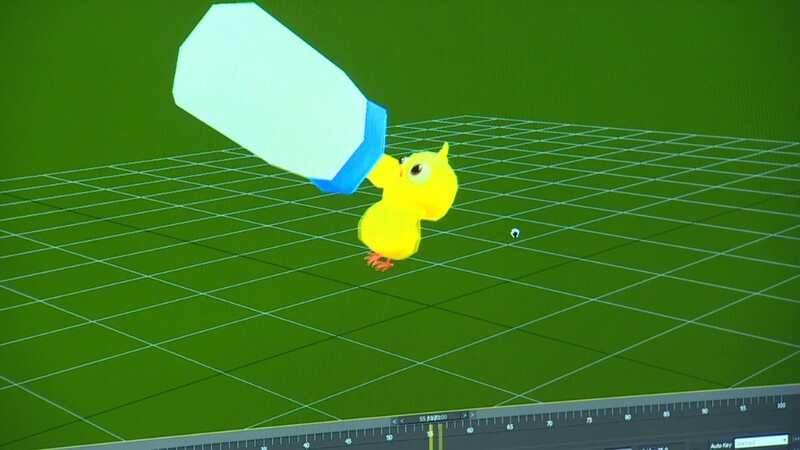 In July it released "Amazing Alex," an adaptation of a game it acquired from a smaller developer, and in September it launched "Bad Piggies," an Angry Birds spin-off that switches to the porcine point of view.